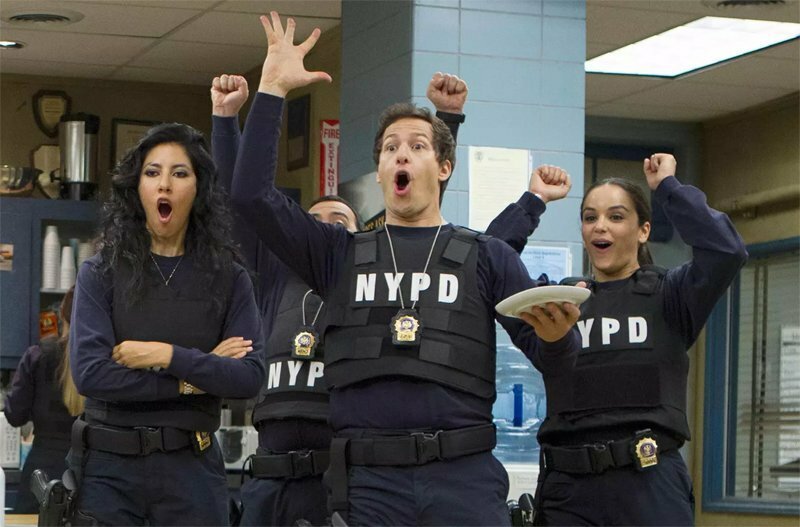 NBC Picks Up Brooklyn Nine-Nine Season 6! Just a day after the beloved show was canceled by FOX, NBC has announced the network has picked up Brooklyn Nine-Nine Season 6! NBC has ordered a 13-episode sixth season for the 2018-2019 season. Brooklyn Nine-Nine stars Andy Samberg, Andre Braugher, Terry Crews, Melissa Fumero, Stephanie Beatriz, Joe Lo Truglio, Chelsea Peretti, Dirk Blocker, and Joel McKinnon Miller. It was created, written, and executive produced by Dan Goor (Parks and Recreation) and Michael Schur (Parks and Recreation), and produced by Universal Television, 3 Arts Entertainment, Fremulon, and Dr. Goor Productions. Goor, Schur, David Miner, and Luke Del Tredici serve as executive producers.